“You’re blessed when you’ve worked up a good appetite for God. He’s food and drink in the best meal you’ll ever eat” (Matthew 5:6, MSG). 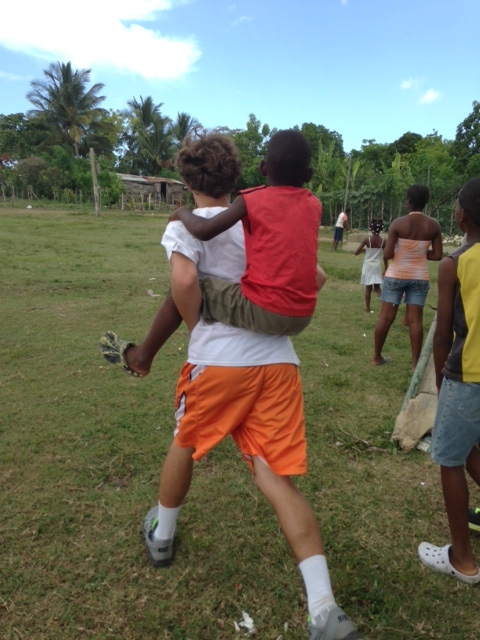 A few weeks ago I shared that my oldest son travelled to the Dominican Republic on a mission trip. I suspected he would come back with some lessons learned, and experience first-hand the realities of living life on the edge…Well, I underestimated the purposes and plans of God in drawing my son to the mission in the first place. The learning’s there ran much deeper, and I believe, changed my young man’s very heart. I have been so intrigued by his experience and the many stories he now shares, that I thought I would interview him first hand and share some of them with you all as well. What were your expectations before you left on your trip? I expected to see poverty and poor conditions. However, when I got there it was a completely different level of poverty. The living conditions for so many of the people are well-below the US level of poverty. The basics; adequate shelter, food, safe drinking water, clothes, shoes, medical care… these are luxuries. What was it like there? Well, we stayed in a hotel, which was safe enough, but outside the grounds not so much. It was okay; though because of food concerns, I ate a lot of rice and beans. Yum…not really…. Even though the land is very close to the sea, it is still really hot and humid, but the country is very green. The country-side is beautiful and the beaches are spectacular, though the children in the orphanages really don’t get to go there to play. The villages we visited were incredibly run down – but I was really moved by the sense of community in the villages. Truly, if you needed the shirt someone was wearing, they would give it to you….whether they had another one or not. They took care of each other. Well one day, we were assigned to help this group house of women. They had a store of sorts where they all worked making crafts to sell. These ladies had been prostitutes as their only means of supporting themselves. They had at some time learned about Jesus Christ and given their lives to Him as followers. In the process, they left prostitution. 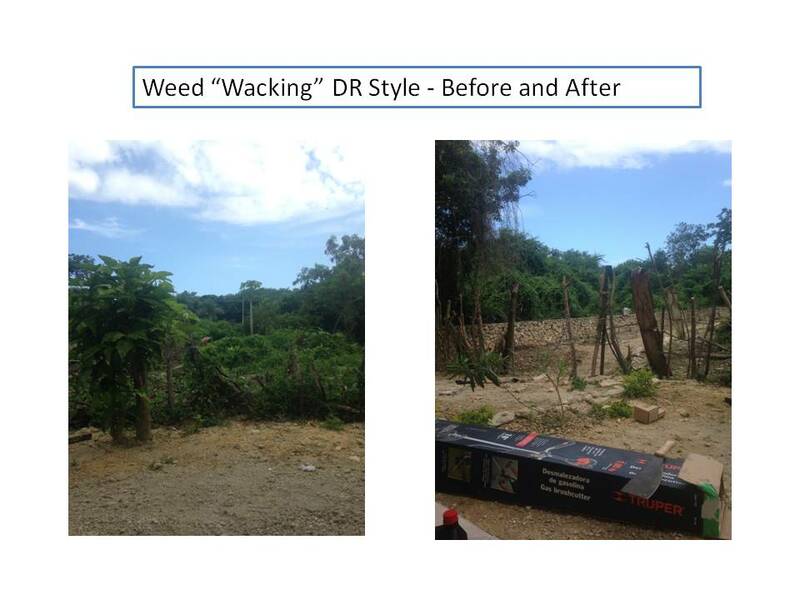 Part of the mission there in the DR is to give people a better way out. These ladies now make a living making various crafts and selling them. The problem was that the store was run down and being overtaken by the jungle. Several of us guys were given machetes to clear up the area. It was hard work, but worth ever wack! Some old fellow named Alejandro (one of many passengers on one beat-up bike) showed up out of nowhere, grabbed a machete and worked beside us until it was done. He found a cast-off bent cigarette on the ground and was happy with that as “payment.” We also gave him water and shared Christ with him in the process of wacking! What kind of things did you do there? We had about 250 high school students and some adults on the trip. We were broken up in groups of about 25, working across different ministries. As a group we addressed the physical and spiritual needs of many of these people. Spiritually speaking, we shared the good news of the Gospel of Jesus Christ with 3,812 people and 412 of those made a commitment to Christ with their lives. To meet their physical needs, we gave clothing, shoes, and medical needs, built houses, and taught and played with the kids through crafts, music and different sports. Of course, the best sport was the lacrosse ministry. 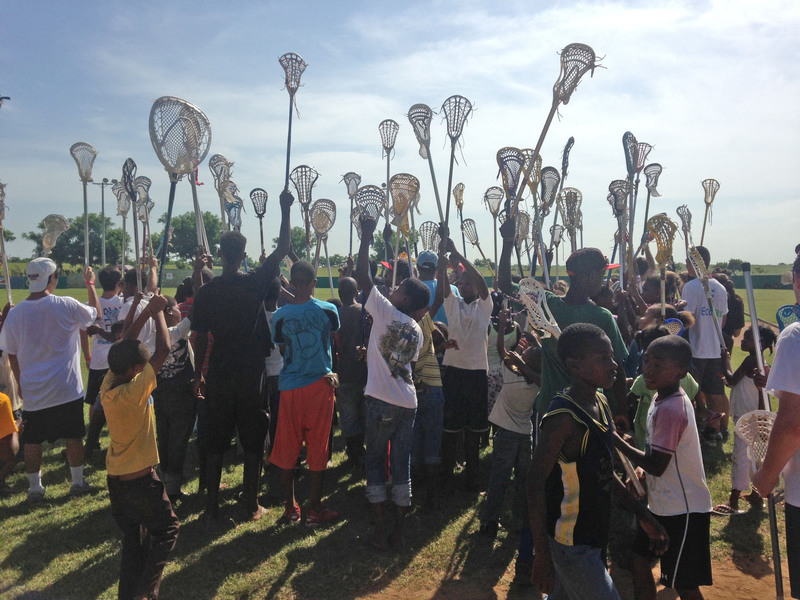 We taught and played lacrosse with approximately 200 kids. We handed out free boys and girls equipment (>100 sticks, gloves, balls, lacrosse shorts, t-shirts, pennies and jerseys). We received tons of donations from multiple lacrosse organizations. It was awesome seeing all those kids in our local lacrosse gear! I was amazed at how grateful and kind the people were and how happy they were to see us there. In the villages, the people were very joyous and welcoming. Do you have a favourite memory from the trip? One of my favorite experiences on the trip was when my missions group took all the kids from the orphanage to the beach. This was so special because we were one of two groups that got to go to the beach. But the thing that made the beach so special was the kids. You would think that kids who live right next to a beautiful ocean would have gone to the ocean all the time. But these kids had never been to the beach, because there is no one at the orphanage to take them. None of them knew how to swim and they were enthralled with the sand, the sea life and this vast amount of water. Since the kids couldn’t swim, we would let them jump on our backs, and we would act like a human water ski for them. I held a little boy and would lift him up and put him in the water and lift him up and put him back in the water and so on and so forth. But every time he went into the water and up again he flipped around and faced me. He had the happiest giggle and expression on his precious face. It really takes almost nothing to bring joy to someone….since then, I have been asking myself, “why don’t we spend our time trying to make people happy?” It’s an interesting question, it’s something we all need to think about, and I was forced to think about it on this trip. The rest of that day was spent playing with kids in the water and running up and down the beach. I caught a large sea urchin and the kids looked at as if it were some extra-terrestrial being. By now, you probably can tell that the trip was a life changing experience; it forced me to look outside my little self-focused bubble and look around and see others. There are so many people that need more than any of us can want. I can only thank God for how blessed I am. It was an amazing experience. I loved every moment of it. Looking back over your time there, how have your experiences affected you? Well, I understand a few things better now… Thankfulness, Humility and Forgiveness. I understand what it means now to be thankful. I have thankfulness for everything. 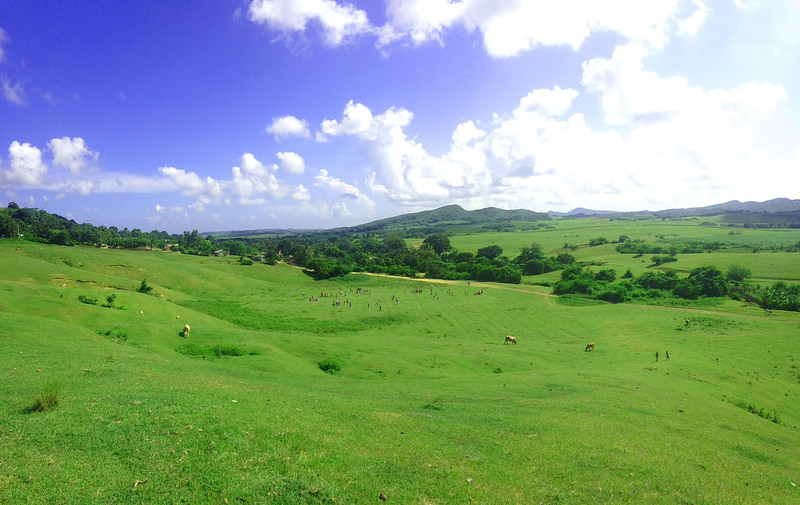 Going to the places like the Dominican Republic opens your eyes and presents one with a different perspective. I realize how fortunate I have it and also have a better understanding of what I/we are doing wrong in God’s eyes. For example, teenagers in particular, but really everyone – there is such a general selfishness of life. From the things we have/want, and take for granted to the people in our lives and how we can be so upset with someone for doing or saying something stupid. In the scheme of things, like who cares? There are greater issues in life than the pettiness that grabs our focus. These kids get that so easy. Though they have “nothing” yet they have so much more than most of us, because their hearts are pure with thankfulness and understanding the bigger issues of life. I get that now. After seeing what the average person in the Republic goes through, I realized how petty my everyday problems are. I especially realized how stupid it was to complain, because no matter what the proverbial “you” are complaining about, we are still more blessed than most of the world. It was an amazing feeling to be doing everything for others in God’s will instead of all of my decisions being focused on myself. Honestly, I now prefer to serve others and God instead of myself. I learned that when you serve others with everything you do it is a much more fulfilling than doing everything for yourself. I am very thankful for all I have, but mostly, I am thankful that I now understand how I can help others. I just see things differently now. That has also taught me humility. You also mentioned Forgiveness. I am not sure I understand what you mean. Well, growing up, I always thought God was this big rule guy. God is about love…and you can see it in the attitudes of these people. I was there to mentor and serve others, and I learned so much more there than I taught. Also, my youth pastor there was really bro. He and I had some great conversations and he encouraged me to share my story, my testimony with some of the Dominicans. At first, I was “not about that life”. There are some things I wasn’t sure I wanted to share. But then my youth leader asked me, “Why Not, what do you have to lose?” He was right. Before I did, I prayed silently and asked God to show me how to do this. I guess this is when I started to understand about forgiveness. I have made mistakes and God has forgiven me, so why shouldn’t I share that with others? The guys were about 16 and 19 years old, but they really listened to me. It was awesome. We ended up praying for about 35 minutes. They asked for prayers for their family, house and life. They prayed and we prayed together. They were invited to service after that too. In addition, we gave them water and food, and faith-based booklets in English and Spanish. Being open about my faith for really the first time has changed my life. God has given me a heart to try to see others the way He sees them and a desire to share with others. How has God revealed Himself to you I this trip? What would you do in your power to make a change in these lives? Yes. I cannot express my gratitude to all of the people who supported me in this journey. I hope the Lord is able to work in all of our lives, and if you haven’t gone on a mission’s trip out of the country, I strongly encourage that you try to sometime, it is truly amazing. Service isn’t a one-time thing, it’s a life time attitude. James 1:17 Religion that is pure and undefiled before God, the Father, is this: to visit orphans and widows in their affliction, and to keep oneself unstained from the world. James 2:14-17 What good is it, my brothers, if someone says he has faith but does not have works? Can that faith save him? If a brother or sister is poorly clothed and lacking in daily food, and one of you says to them, “Go in peace, be warmed and filled,” without giving them the things needed for the body, what good is that? So also faith by itself, if it does not have works, is dead. 1 John 3:17 But if anyone has the world’s goods and sees his brother in need, yet closes his heart against him, how does God’s love abide in him? 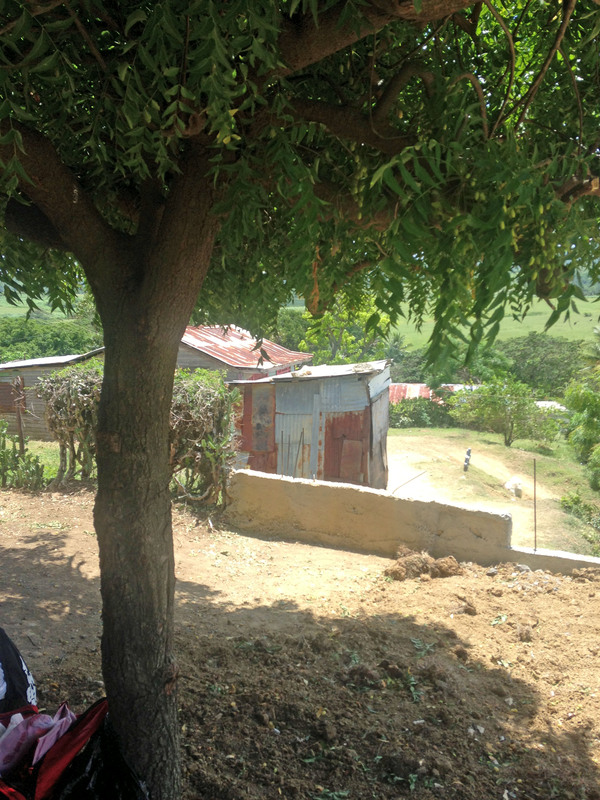 Learn more about missions to the Dominican Republic here, here and here. To Donate to Global Missions, see link here . It is an awesome and humbling experience to know that God choose you, young man, out of so many people in the world to do a specific task for him. It is the spirit of Christ in you that allowed you such a rich experience. You lived and experienced agape love that only comes from the love of Christ..and it is free and without reservations or restrictions to all of us.